Why is it particularly important to carry out a check on your vehicle before making a long motorway journey? Why is it particularly important to carry out a check on your vehicle before making a long motorway journey? While manufacturers like to hide most of the interesting engine components under cowling to make them difficult for you to adjust, there are basic mechanical operations and precautions you can take with the whole of your car and motorbike to keep them running smoothly. This article includes the knowledge you will need for your licence theory test. Catalytic converters are fitted to the exhaust to make the exhaust fumes cleaner. Harmful gases in the exhaust system pollute the atmosphere. These gases are reduced by up to 90% if a catalytic converter is fitted. Cleaner air benefits everyone, especially people who live or work near congested roads. Motor vehicles can harm the environment through air pollution, damage to buildings and using natural resources. Here’s how the full exhaust system works. MOT tests contain strict exhaust tests. Emission tests are carried out to ensure the engine in your vehicle is operating efficiently. This ensures the pollution produced by the engine is kept to a minimum. If your vehicle is not serviced regularly, it may fail the annual MOT test. Rapid acceleration and heavy braking leads to increase fuel consumption and emissions. Excessive or uneven tyre wear can be caused by faults in the braking system, wheel alignment or suspension. Regular servicing will help to detect faults at an early stage and this will avoid the risk of minor faults becoming serious or even dangerous. Tyre pressures should be checked when they are cold. Tyres will be warm after a long journey, so it’s best to check them before you set off, and then you can make any adjustments for your journey. Your tyres must be correctly inflated and have enough tread depth (1mm for motorbike tyres, and 1.6mm across 3/4 of the width of the tyre for car and trailer tyres). If there’s a cut or bulge in a sidewall, any of the plies or wires are showing or if you have recut the tread (which is illegal), you must replace the tyre immediately as there’s a risk you could have a blowout which could cause an accident. If the tyres are under-inflated braking and steering will be affected. The correct pressure will be shown in the vehicle’s manual. If your vehicle pulls to the side when braking it could mean a tyre is under-inflated or that your brakes on one side are worn or malfunctioning. For a full guide on taking care of your tyres, click here. Many modern batteries are completely sealed and don’t need topping up. If the fluid level in your battery is low you should top it up with distilled water to just above the cell plates. If you let the fluid get too low it will short out the battery. To dispose of a used battery take it to a local authority site or a garage. Batteries contain hazardous materials and shouldn’t be disposed of in regular rubbish. Here’s how to add water to your battery. Remember to check your fluids as if your brake fluid level gets low, your brakes will stop working or will be much less effective. You should check the oil before a long journey. 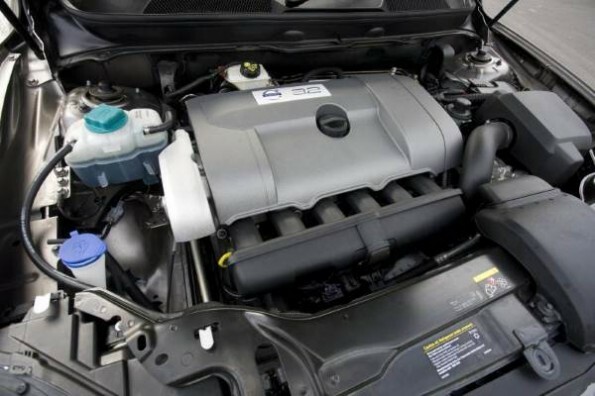 Too much oil in your engine can cause oil leaks and reduce power. Any excess oil should be drained off. Never pour the oil down any drain. The oil is highly pollutant and could harm wildlife. Confine it in a container and dispose of it properly at an authorised site. If your oil light comes on while you are driving you must stop immediately because your engine could seize. Check your indicators don’t have a blown bulb if you see that your internal indicator light is flashing rapidly. Indicators should flash between one and two times per second. You must keep your number plates and headlights clean. If your windscreen fogs up while driving, stop and clean it. You can buy anti-fogging products for windscreens. Turning your steering wheel when stationary can cause damage to your steering and tyres. It causes unnecessary wear and is known as ‘dry steering’. When you are stationary, if there is a lot of play in the steering wheel, i.e. you can move your steering wheel from left to right without the wheels moving you should have a mechanic look at why this is. It could be dangerous to leave it like that because it reduces your ability to steer quickly out of danger. If you feel your steering wheel vibrating when you drive then it’s likely your wheels are unbalanced. It’s not a fault that will fix itself and you will need to take it to a garage or tyre fitting firm as it requires specialist equipment. The law requires you to keep your headlights, seatbelts and windscreen in good condition. Other things to check include lights, get someone to help you check the brake lights and indicators. Battery, a lot of these are now maintenance-free. Steering, check for play in the steering. Oil, brake fluid, water and suspension also need checking. Always check that the speedometer is working once you’ve moved off. If you push down on your car and the suspension bounces your shock absorbers are worn and need replacing. This video explains 10 signs of worn shock absorbers. If this light comes on on your dashboard there’s a problem with the braking system. 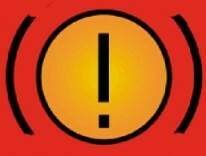 If your anti-lock brake warning light stays on you must have it checked immediately. It could be a faulty sensor that might affect your braking performance. A loose drive chain on a motorbike could cause the rear wheel to lock. Drive chains are subject to wear and require frequent adjustment to maintain the correct tension. Allowing the drive chain to run dry will greatly increase the rate of wear, so it is important to keep it lubricated. If the chain becomes worn or slack it can jump off the sprocket and lock the rear wheel. You can see in the slo-motion part of this video that the chain had already jumped off the sprocket before the corner, then as the rider entered the corner it caused the wheel to look which high-sided the rider. After adjusting the final drive chain or refitting your rear wheel you should check the rear wheel alignment. Marks on the chain adjuster may be provided to make this easy. 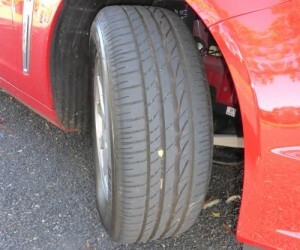 Incorrect alignment can cause instability and increased tyre wear. After you have fitted new tyres you should ride carefully until the shiny surface has worn off. They will be especially slippery if the road is wet. A motorbike engine that’s properly maintained will have lower exhaust emissions and will use less fuel. If your bike has a manual choke, if you leave it on after it’s warmed up it will use more fuel and increase exhaust emissions. If you are involved in a collision or crash, using the engine cut-out switch will help to reduce any fire hazard. When stopping the engine normally, use the ignition switch. You can maintain cable-operated brakes by regular adjustment if necessary and by oiling cables and pivots regularly. Clutch cables can also be oiled to keep them moving freely. Wobbly steering can be a result of worn steering head bearings. If your visor becomes scratched or your helmet becomes cracked you must replace them. If your visor fogs up while riding, stop immediately and clean it. You can buy anti-fogging products for visors. A touring fairing will give you the most protection against the weather. Fairings give protection to the hands, legs and feet. They also make riding more comfortable by keeping you out of the wind. For a tongue-in-cheek look at the best and worst fairing, check this out. You must keep your number plate and headlight clean. If oil is leaking from your forks you should not ride your bike because oil could drip onto the brake disc. As 75-90% of the braking performance is carried out by the front wheel, this will dramatically increase your stopping distance. If you detect a strong smell of petrol, check it out immediately as it could be petrol leaking onto a hot engine which creates a fire risk.